POTP Swoop, Dreadwind and a single Starscream. POTP Swoop,Slug, Jazz, Dreadwind and a single Grimlock. 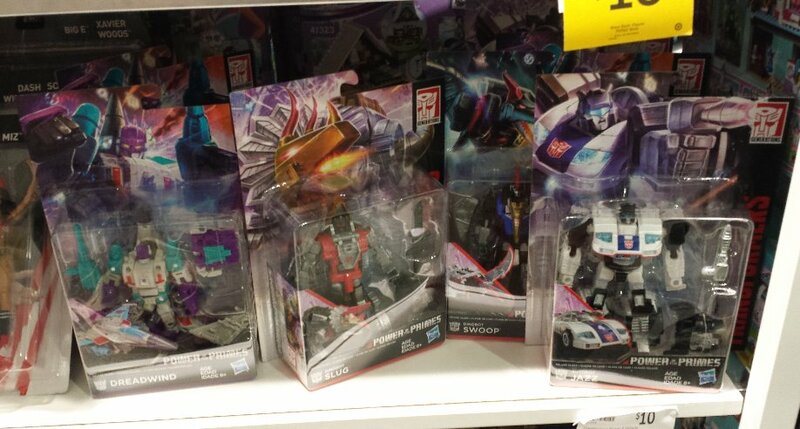 Big W Robina, two full sets of PotP deluxe, and 2x Grimlock Voyager (no SS). 1 Tr Trypticon @208 clearance. Tru Robina full sets ofmPOtP deluxes, and prime masters. Last edited by reillyd; 24th March 2018 at 04:02 PM. Today at Garden City... nothing much to report unfortunately. Target - finally got in some POTP toys (they weren't there last week), but just Deluxe and Voyager at this time. 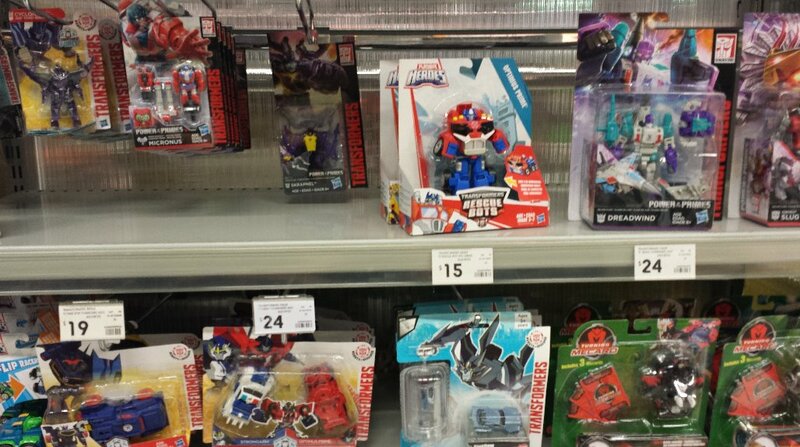 Kmart - had the newest Rescue Bots "rescan" Optimus, which is the one that was packed with the launcher trailer and Blurr. JB Hifi - had the newest RID DVD, thanks to a tipoff by Paulbot this morning (I wouldn't have gone inside to check otherwise). Let's see if they can make it to the Toyworlds in Victoria. 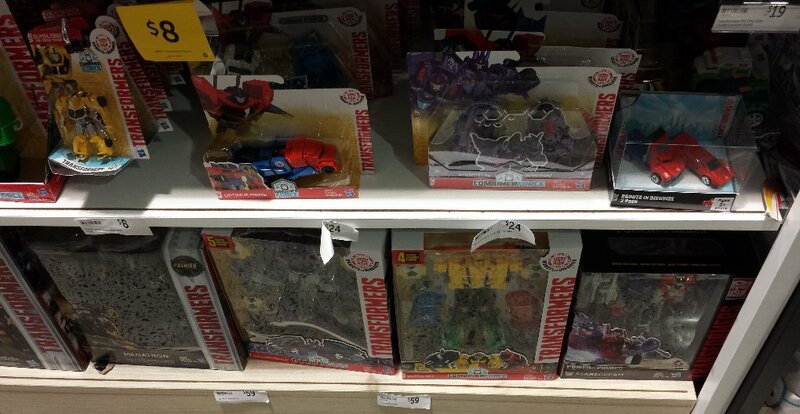 I was amazed to find the new Transformers Authentics line at Woolworths Runaway Bay (isle 10 or 11, on the left hand side, whole new shelves of Hasbro toys including Marvel Infinity Wars Wave 2!). They had two full sets (Optimus, Megatron, Bumblebee, and Starscream). I didn't care what they were in price (no shelf tag) but was delighted when they scanned in at only $10 each. receipt for confirmation. I don't know how to inline the photo, but mods feel free to inline or mirror the image. Last edited by reillyd; 4th April 2018 at 06:52 PM. A little cropping of your photo... as I wasn't too sure what body parts or clothing was showing. 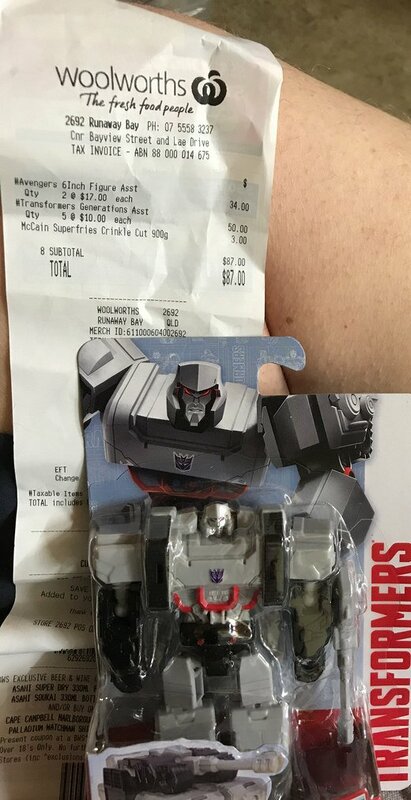 I was actually recommending these to Hasbro a few months back for Australia, to replace the RID Legions and Tiny Changers in Grocery stores (Coles, Woolies) because they were no longer being released... but they said they didn't read that part of my email, so I guess in the end it was just a prediction. Out of curiosity, what op shops in the Brisbane area have you guys found to be the most reliable for finding Transformers? I've done some Work for the Dole gigs at op shops (those days are long behind me, thankfully), and I found that different stores had very different types of "typical" donations- stuffed animals were common at some, while others would get Hot Wheels more often. 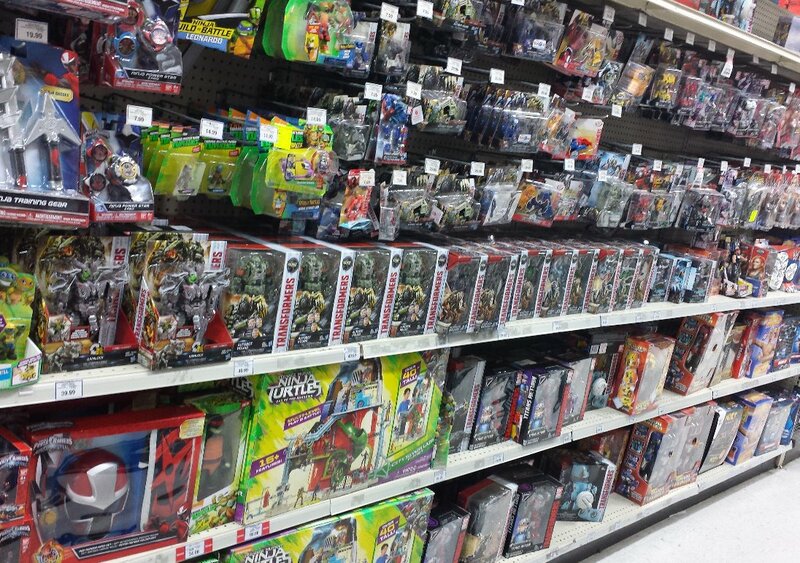 I never found Transformers with any sort of regularity, though.